We have participated in Cancer Research Trials since June of 1986 and we are proud that our first patient is still living today! Since 1986, we have entered over 500 patients in clinical trials. These trails lead to new FDA approvals, for drugs such as Taxol, Herceptin, and Affinitor! We participate in clinical trials through the Mayo Clinic via the Academic Community Cancer Research United Group, Alliance Foundation Trials, Sarah Cannon Research Institute, The National Cancer Institute via the University of Oklahoma and various pharmaceutical trials. As a person who has been diagnosed with cancer, you should be well informed. You may have several treatment choices. It is important to learn about your options. One choice you may have is a cancer clinical trial. Your doctor may suggest this option for you. Trials we participate in are Phase II and Phase III, no Phase 1. Examples of trials we have participated in are: Brain, Breast, Carcinoid, Colon, Gastric, Head and Neck, Leukemia, Lung, Lymphoma, Melanoma, Myeloma, Ovarian, Prostate, Rectal, Renal, Sarcoma, and Prostate Prevention. We also participate in Biospecimen protocols, registries, and quality of life studies. Is a clinical trial right for you? Clinical trials are research studies that involve people. They are the final step in a long process that begins with research in a lab. Many treatments used today are the result of past clinical trials. Clinical trials take place in phases. For a treatment to become part of standard treatment, it must first go through 3 or 4 clinical trial phases. You do not have to take part in all phases. the early phases make sure the treatment is safe. Later phases show if it works better than the standard treatment. Phase I trials find safe doses, to decide how the new treatment should be given and to see how the new treatment affects the human body. Usually 13-30 people take part in a study of this nature. Phase II trials determine if the new treatment has an effect on a certain cancer and evaluates how the new treatment affects the human body. Usually less than 100 people take part in these studies. Phase III trials compare the new treatment (or new use of a treatment) with the current standard treatment. These trials enroll from 100 to thousands of people. 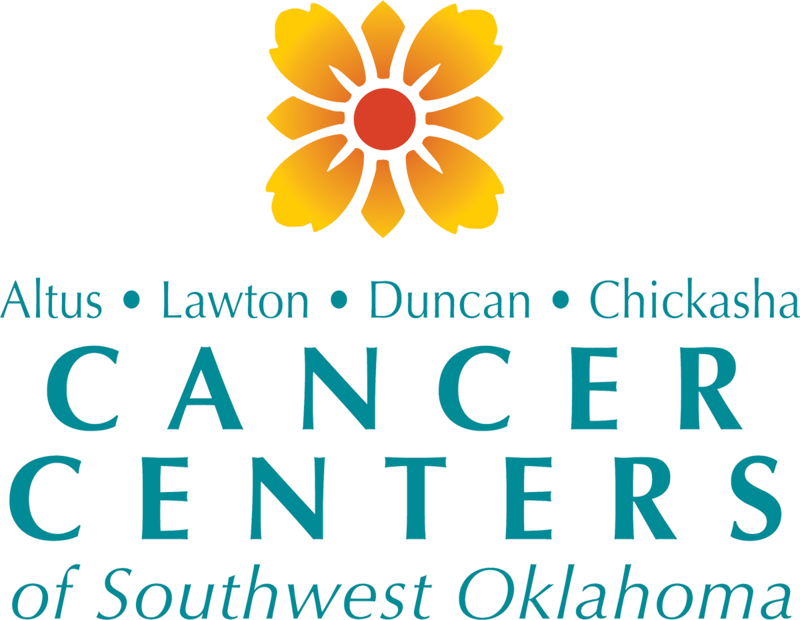 The Cancer Centers of Southwest Oklahoma only participates in Phase II and III clinical trials. A placebo is designed to look like the medicine being tested, but it is not active. In some cases, a study may compare standard treatment plus a new treatment, to standard treatment plus a placebo. You will be told if the study uses a placebo. Randomization is a process used in some clinical trials to prevent bias. Bias occurs when a trial’s results are affected by human choices or other factors not related to the treatment being tested. Clinical trials offer high-quality cancer care. If you are in a randomized study and do not receive the new treatment being tested, you will receive the best known standard treatment. This may be as good as, or better than, the new approach. If a new treatment is proven to work and you are taking it, you may be among the first to benefit. You have the chance to help others and improve cancer treatment. Q:What are the possible benefits of participating in a Cancer clinical trial? • We will watch you very closely – perhaps even more closely than if you were not in a trial. • You may be the first to benefit from the new treatment if it is found to be helpful. • You have the chance to make a valuable contribution to cancer research. • The standard treatments available today are the result of people participating in clinical trials. Q:What are the possible risks of participating in a Cancer clinical trial? • All treatments may have side effects and/or risks. • The new treatment may not be as effective as standard care or may not be effective at all. • The new treatment may not work for you even if it has worked on others. • There may be costs that are not covered by insurance or the trial sponsor. Q: Will I know all of the risks? Absolutely. One of your key rights in a clinical trial is the right to informed consent. You must be given all of the known facts about a study before you make a decision to participate. Then you will know about the possible benefits, known risks and or side effects that may affect you. You also have the right to opt out of a study at any time. Q: Will I understand what it all means? It can easily be overwhelming: the diagnosis, the information, the choices. If you feel overwhelmed about the amount or type of information you are given, ask to talk with an oncology Nurse Navigator. You may learn that the choices are not as intimidating as they seem. No. You will receive either the new treatment or the best standard treatment available. People who received treatment through a clinical trial generally find it to be a very positive experience and feel that they received good care and attention, no matter what the outcome of the disease. Q: What if my doctor didn’t mention this option to me? Schedule a meeting to talk with your oncologist about clinical trials. Bring a list of questions and a family member or friend to help. You may also wish to seek a second opinion at an NCI cancer center where they specialize in clinical trials. You should be open to options throughout the course of your treatment because it’s never too late to access the best care available to you. Q: Aren’t clinical trials a “last resort”? No. Some clinical trials can be considered before you start any other treatment, at any time throughout treatment, or at time of recurrence, depending on available studies. Cancer clinical trials come in many forms and test many aspects of cancer care, including ways to reduce infection or pain, nausea, or other side effects, as well as ways to potentially cure the cancer. Q: What is a Placebo? Clinical trials offer high-quality cancer care. If you are in a randomized study and do not receive the new treatment being tested, you will receive the best- known standard treatment. This may be as good as, or better than, the new approach. If a new treatment is proven to work and you are taking it, you may be among the first to benefit. You have the chance to help others and improve cancer treatment.